The Education Action Group (EAG) is an activist collective fighting for students on campus. We meet regularly to plan actions and build for them. Over the last few years the Education Action Group fought with the National Union of Students and student unions around the country against fee deregulation, forcing the government to back down on the policy which would have seen some university degrees costing $100,000. 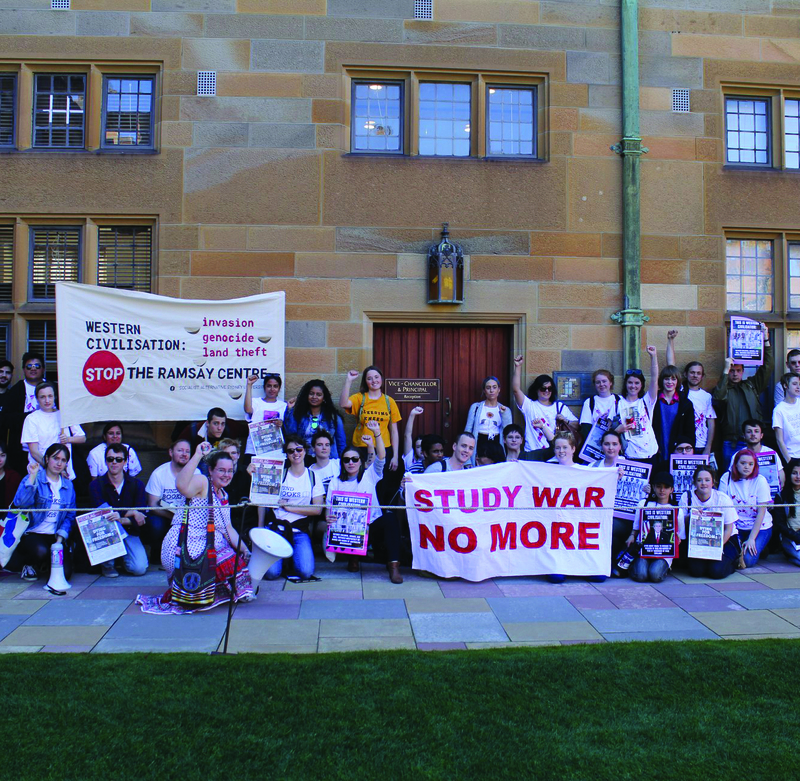 When USYD staff went on strike in 2013 and 2017, students organised through the EAG and stood with them in their fight for fair pay and conditions – because staff working conditions are student learning conditions. This year the EAG will continue fighting for workers rights, especially for international students. We will also be campaigning for international student concession Opal cards as NSW is one of the only states not to provide this. We will also continue on last year’s struggle against Tony Abbott and John Howard’s racist Ramsay Centre for Western Civilisation. We will continue to stand with other collective’s campaigns and, as always, the EAG will continue to fight for a completely free, publicly funded and accessible tertiary education. Like our Facebook page and get involved in the campaigns.